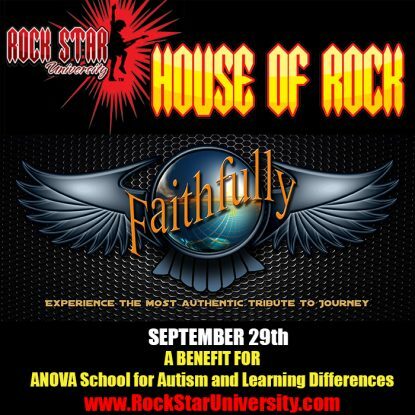 Rock Star University’s House of Rock located at 3410 Industrial Drive in Santa Rosa is hosting a Benefit Concert Weekend for the Anova School for Autism and Learning Differences on Friday, September 29 and Saturday, September 30, 2017. The Friday, September 29 concert will feature Faithfully, a national touring Journey tribute band playing all your favorite Journey hits with local teen rock sensations V2 (pronounced V Squared) opening the show, playing classic rock covers and their award winning original music. 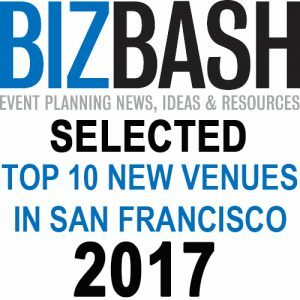 The Saturday, September 30, concert will feature Atomic Punks, a national touring Van Halen tribute band playing all your favorite David Lee Roth era hits with local teen rock sensations V2 opening the show, playing their original award winning music plus classic rock covers from AC/DC, Black Sabbath, Led Zeppelin and others. 100% of ticket sale proceeds given to ANOVA School for Autism and Learning Differences.